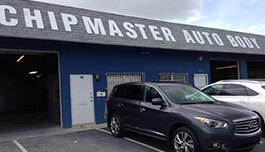 Chipmaster Auto Body Shop has been serving the area of South Florida for over 13 years. We are a full service auto body shop. Our technicians are able to fix everything from the smallest ding to complete restorations (Auto Painting, Collision and Mechanical Repairs). We understand that being involved in a collision is a stressful experience, and our staff are ready to help you every step of the way. Our process begins with knowing you and your car. Fill out and submit our Online Estimate form and we will get back to you with a quotation fast. 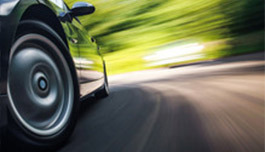 You can also include pictures of your car for us to give you a more accurate quote.